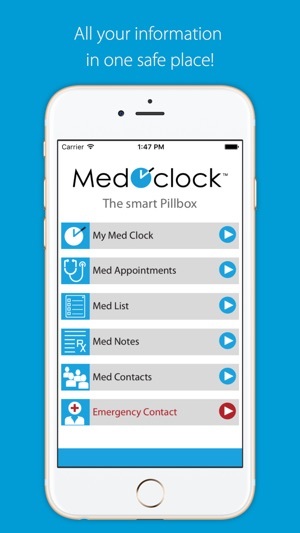 Try MedOClock, the simple Medication Reminder and Pill Organizer that works! The easiest way to keep track of all your medication! 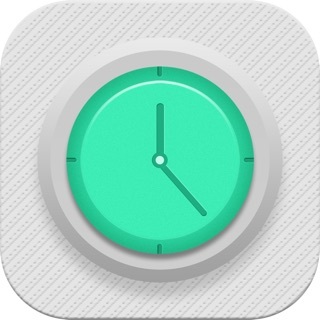 MedOClock sends you reminders so that you never forget which medication you should be taking next. You can use it for yourself or someone you're taking care of. 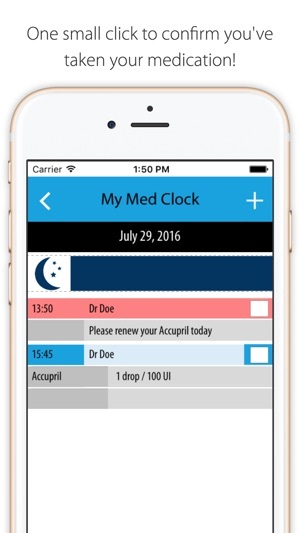 MedOClock also allows you to share your full list of medication with medical practitioners via email with a simple touch of a button. 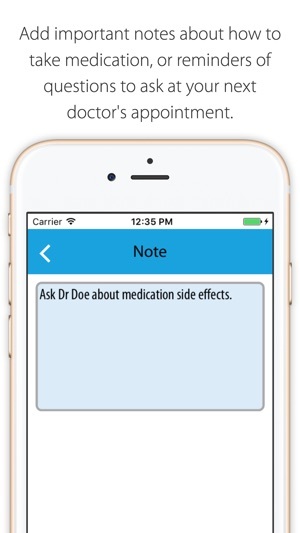 - It's simple to set-up recurring reminders for all your medications. - Once added to your list, see all your reminders in one quick glance from the main home screen. 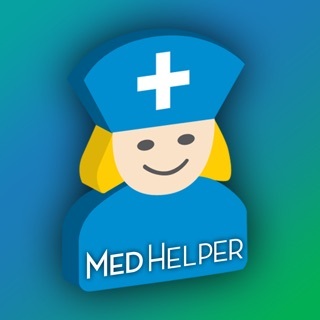 - Provide critical information easily to medical personal in case of an emergency situation. 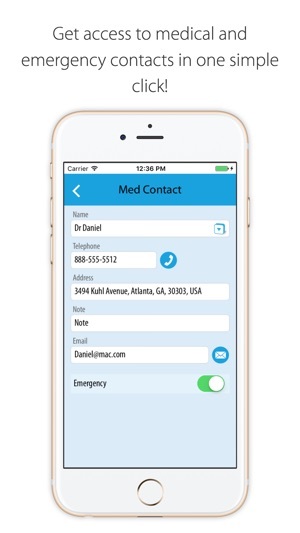 - Add an emergency contact you or anyone else can reach with a simple tap of a button. 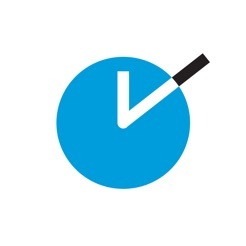 - Get calendar reminders for your medical appointments. - No need to carry pieces of paper. Have all the info you need ion your mobile. - Accessible 24 hours a day, 7 days a week. The idea for MedOClock came to me when I went to visit my father who is suffering from Parkinson’s disease. His list of medication is long and is often readjusted by doctors. It's crucial that he takes his medication at specific times of the day and his wife used to carry a large notebook with all the information about his medication in the drawer of his bedside table. One day we went together to visit his dentist who asked if his medication has changed since the last visit. Having forgotten the notebook at home, we were not able to provide accurate information which is very important for proper treatments. That’s when the idea for MedOClock emerged. I wanted to make a simple mobile application that would eliminate the need for my father's large notebook and would also help caregivers and different health professionals keep track of complicated medical list. 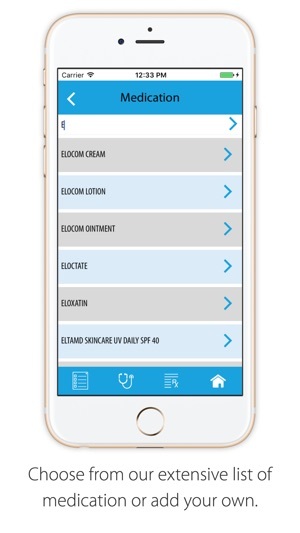 We also added the simple function of recurring reminders so that a person would never again forget to take the right medication at the right time. We are launching an iOS version 2.5 of this app, now completely FREE. This is a good app but not a great app. First you have to register, not sure why. After that registration you don’t have to enter your details even though the app takes opens to a enter details page. You just click on the arrow top left. This took me a few attempts to get into the app. Choosing meds: the selection and confirmation of meds taken is clumsy. It does the job but it could be better. The email your med list choice could be better. When I choose that option only one med comes up with nothing to tell me how to include my whole list. I could go on but you get the picture. The developers probably don’t want to rework this app but it could be so much better. Je me suis rendu compte que pour les médicaments à prendre le soir le rappel se fait 1 fois sur 2 contrairement au matin qui se fait tous les jours? Ce n’était pas le cas au début, j’ai téléchargé à nouveau l’application même résultat. Il semble y avoir un problème . Le pilulier est utile pour entrer toute information et numéro de contact des médecins, dentiste et tout autres spécialistes et en faire une notification pour les rendez-vous. Il peut aussi permettre l'entrée des données pour plusieurs médicaments. Or, pour la notification des médicament, cela n'est pas fiable. Les crochets n'est pas toujours fidèlement enlevé le lendement se qui enlève la possibilité de nous avertir quand nous devons prendre le médicament. J'ai dû utilisé un autre app pour cela. Pour le reste c'est super.